FAO’s Food and agriculture database provides free access to food and agriculture statistics for over 245 countries and territories and covers all FAO regional groupings from 1961 to the most recent year available. 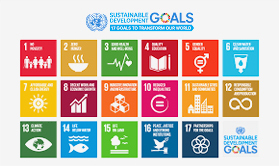 FAO’s Sustainable Development Goals (SDG) Data Portal provides access to the 21 SDG indicators under FAO custodianship as well as key information to support countries in tracking progress towards SDGs. 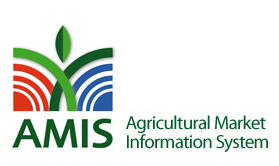 The Agricultural Market Information System (AMIS) is an inter-agency platform to enhance food market transparency and policy response for food security. It provides market information on four grains particularly important in international food markets: wheat, maize, rice and soybeans. Sound and timely statistics are key to inform decisions, policies and investments that tackle issues related to food and agriculture, from hunger and malnutrition to rural poverty, from food systems productivity to the sustainable use of natural resources or to climate change. FAO is dedicated to collecting, analysing, interpreting and disseminating food and agriculture statistics that are relevant for decision-making. It is for this reason that developing and implementing methodologies and standards to assist countries in generating sound data and information is at the core of FAO’s statistical work. FAO also supports member countries in the collection, dissemination and uptake of data to formulate policies and plans or to better orient investments. A comprehensive list of FAO Statistical activities is included in the Statistical Programme of Work. The FAO’s statistical system operates under the oversight of the Office of Chief statistician and it consists of a statistics division and statistics units embedded in technical departments.